Ross Harried has found that a "small" strategy can serve up big business success. His Maui Wowi Ka'anapali Carts (Tiki huts on wheels) are 8 feet wide, 3 feet deep, 8 feet high and can squeeze in most anywhere, which allows him to provide a memorable presence at events ranging from youth and professional sports to concerts, graduations, dance competitions, corporate gatherings, and wherever he's asked to serve up his smoothies. The mobile units are a signature of Maui Wowi Hawaiian Coffee & Smoothies, which also offers storefront, kiosk, food truck, and enclosed concession trailer options to franchisees. The lower start-up costs of the mobile carts appealed to Harried, who became a Maui Wowi franchisee in February 2013. Since then, he has built a book of repeat customers and lucrative venue contracts in the Minneapolis area and catapulted himself into the fourth largest franchisee in a system with more than 450 units in 7 countries. Harried made his mark with Maui Wowi by juggling--and filling--the schedules of six Ka'anapali Carts. Bolstered by contracts with the Minneapolis Convention Center and, most recently, a deal with Target Center, the downtown home of the NBA's Minnesota Timberwolves, those carts are booked most days of the year. "The mobile cart was highly attractive because the ramp-up time was so short," he says. "Two months into business, I was already in the black. I was able to jump-start my business by bringing the product right to large groups of people and captive audiences." While arenas, transportation hubs, and campuses provide a captive audience, some non-traditional sites can require plenty of footwork to increase traffic. Today, a weekend volleyball tournament can net Harried $50,000 in smoothie sales, but his early days with Maui Wowi were filled with 90-hour work weeks and loads of cold calling. Most people are surprised, he says, to learn the amount of time, energy, and organization it takes to build a book of business. "For the first 100 events I did, I probably pursued in excess of 500. You never know, you might get your dream deal, you might not," he says. "I would make sure my units did not sit idle. I wanted to be out there, I wanted to be seen, and it absolutely worked. Sometimes I didn't make money, but something good always came out of it." Bucking tradition to grow as a franchisee is a game plan with staying power. Market saturation and competition for traditional sites has franchisees large and small scrambling for new kinds of locations and innovative ways to cater to customers' changing needs. Non-traditional franchise locations, as well as mobile units, are popping up wherever people congregate: college campuses, arenas and stadiums, airports, theme parks, hotels, convention centers, military bases, hospitals, travel stops, big box stores, and anywhere customers gather, pass through, work, or live. Food brands, a natural choice for alternative settings, have received the most fanfare, but retail, health-related brands, and service franchisees such as mailing and tax preparation businesses are finding plenty of non-traditional places to build their brands. Non-traditional sites are also booming because customers are demanding that brands think--and deliver--differently. Evolving technology and lifestyle changes continually influence customer expectations, says Robert Branca, Jr., chairman of Branded Management Group, which operates more than 80 Dunkin' Donuts in Massachusetts, New York, and Ohio. "If the consumer interacts with your brand, you have to be where they are and where they want you," he says. "Non-traditional development is a way to do that. It allows you to keep relevant, to not miss transactions, and to further enhance brand loyalty. The other side of that coin is that if you want to continue to grow in highly penetrated markets for your brand, those are sometimes the only opportunities left." Branca is well-versed on the pros and cons of non-traditional locations. As an attorney, he negotiated some of his company's first non-traditional sites. Today he is the franchisee chair of the brand's Alternative Points of Distribution (APOD) Task Force, which assists franchisees with non-traditional locations and the host relationships that ensue. Dunkin' has been at the forefront of alternative development, with offerings in airports and other mass transportation terminals, casinos and resorts, hospitals, stadiums, grocery stores, C-stores, military bases, and colleges and universities. "Some of these opportunities are obvious, some are less obvious. It is important for franchisees to pursue them," says Branca, whose extended family owns more than 800 Dunkin' Donuts stores, dominating the brand in the Northeast. Gregg Hansen, a Huddle House franchisee in Chattanooga, Tenn., found non-traditional expansion opportunities on the road. Hansen, the brand's 2015 Franchise Partner of the Year, recently partnered with Pilot Flying J, the country's largest operator of travel centers and plazas, to transition 11 Huddle House shared-space sites to his portfolio, which now stretches from Georgia to North Dakota. The move makes Hansen the brand's largest franchisee. "The strongest advantage is that the demographics of the Pilot Flying J guest are very similar to the demographics of Huddle House," says Hansen, who also owns seven freestanding Huddle Houses. "It's the kind of food that folks want to eat while they are on the road--get filled up and stop and relax a bit. I have always loved the match, and it is what drew me to want to participate. The challenge is that we are in multiple states, and any time you are trying to do anything in multiple states there are obstacles in executing the plan and systems to get the maximum benefit." Midway through the expansion, for instance, Hansen realized that he would have to revamp his usual local marketing tactics to reach professional drivers, who often are far away from home. "We've had our arms wrapped around trying to develop a marketing program that specifically addresses our professional drivers, which is much different than most people's idea of traditional marketing," he says. "We are pursuing out-of-the-box things try to figure out how to reach our professional drivers." Most of them so far, he says, are electronic, such as texts and mobile apps. 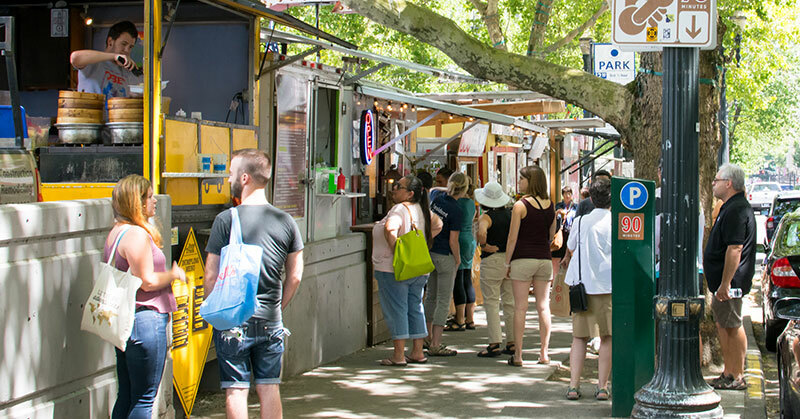 No longer a trend solely for emerging culinary businesses, food trucks also have given brands countless ways to market, reach new customers, test products and trends, and scout geographic areas for future expansion. Service and retail brands are also hitting the road to bring products and business solutions directly to the customer. Screenmobile started in 1980 when the brand's founders converted a used tent trailer into "The Screenmobile" (which of course doubled as a mobile advertising vehicle). The 35-year-old brand's mobile business model was an early sign of things to come. Today, with 91 locations in 25 states, the franchise is the nation's largest mobile screen repair company specializing in the repair, replacement, and installation of window, door, and patio porch screens, and solar shading products. Each trailer, truck, or van typically serves eight customers a day, says Arizona franchisee Jeff Ballantyne, with an average ticket of $370. Ballantyne, who has four territories, three in Tuscon and one in Phoenix's East Valley, is one of only a handful of Screenmobile franchisees with a storefront location. (The brand is marketed to potential franchisees as a home-based business.) His centrally located 2,200-s.f. site housing his trucks and trailers has given his business a competitive edge in an industry where ethics and contractor trust are crucial, he says. "It helps me run employees, rather than independent contractors, which is big part of my success," he says. "I can train my personnel and keep an eye on my business a little bit better, and having all our trucks and trailers at one location is a big positive." Sometimes a non-traditional delivery method developed from necessity can also boost business. When parking and traffic presented challenges for the East Lansing and downtown Detroit locations of Sweet Lorraine's Fabulous Mac n' Cheez, the company introduced a retro bike to deliver its made-to-order comfort food. Customers love the orange-and-black bicycle and the environment-friendly message it delivers, says Gary Sussman, CEO of Sweet Lorraine's, which operates six locations in Michigan, Illinois, and Ohio and has begun an aggressive franchising expansion plan (10 by year-end 2016, 100 nationwide by 2020). Bicycle delivery is nothing new, but making it work in the ice and snow of the Michigan winter can be challenging. "We customized the bike to handle conventional thermal boxes," says Sussman. Also, "It has promotional value when it sits out front of the store as a subtle reminder that we deliver." Founded by chef Lorraine Platman in 2010 and franchising since 2013, the brand is still exploring how to roll out this delivery method to its franchisees. Sussman, Platman's husband, says they may make the service mandatory for urban and college town locations and optional for suburban franchisees, possibly picking up the tab through advertising and marketing fees. "We are also looking at the ELF electric vehicles, since they sort of bridge the gap between bikes and cars," says Sussman. "They might be quicker and have more marketing appeal--and they have solar cells." While non-traditional locations frequently offer lower start-up costs and monthly expenses than brick-and-mortar locations, franchisees considering these models and concepts face their own challenges and problems, which vary from brand to brand, as well as by location. These range from encroachment problems with fellow franchisees; navigating the unique requirements of host environments such as airports, college campuses, and hospitals; complying with local and state regulations; and how to adapt a franchisor's standard footprint, model, or equipment to make the space work profitably and efficiently. 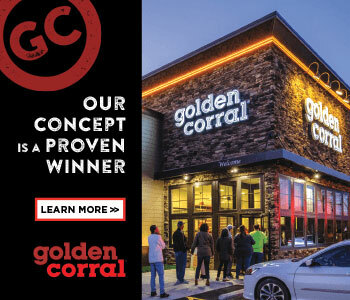 Franchisees can prosper in non-traditional sites by tailoring the experience to the specific location, foot traffic, and community they serve, advises Branca. However, he cautions, "You have to know what you are getting yourself into." Alternative points of distribution are only going to become more prevalent in today's changing, mobile, online world. And, if it's the right fit, expect brands like Dunkin' Donuts to be there. "Any place we can operate in a sanitary environment that we think will be profitable, we will find a way to be there," says Branca. And never discount the power of non-traditional locations to build the brand and influence future customer loyalty. "I picked up my coffee habit at Boston College," he says. As Woody Allen famously said, 80 percent of life is showing up. And, closer to home, as Maui Wowi's Ross Harried said, something good is bound to come out of it.